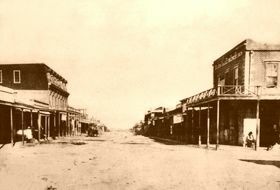 When Wyatt arrived in Tombstone in December of 1879, he planned to establish a stage line but soon discovered there were already two in the town. Instead, he acquired the gambling concession at the Oriental Saloon for a quarter percentage of the proceeds. He also took a side job as a shotgun rider on the stage lines for Wells Fargo shipments. James established a saloon on Allen Street. 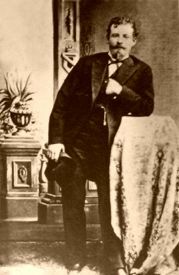 Virgil Earp was already deputy marshal of Tombstone and Morgan went to with work with his brother as a lawman. Doc Holliday met up with Big Nose Kate in Prescott, Arizona, and the pair soon joined the Earps in Tombstone. Tombstone was the last of the wide-open hellholes, teaming with rustlers, thieves, gunmen, gamblers, and prostitutes. The outlaw Clanton Gang had been running roughshod over the territory and immediately resented the Earps arrival. “Old man” Clanton, his sons, Ike, Phin, and Billy; the McLaury brothers, Frank and Tom; Curly Bill Brocius, John Ringo and their followers lost no time in expressing their displeasure. The Clantons had long been involved in rustling cattle from Old Mexico, moving their plunder northward to their ranch on the San Pedro River. Keeping Cochise County Sheriff John Behan on their payroll, their operation was extremely successful until the arrival of the Earps. Wyatt wasn’t spending all of his time working, as he met Josephine “Josie” Sarah Marcus while in Tombstone. 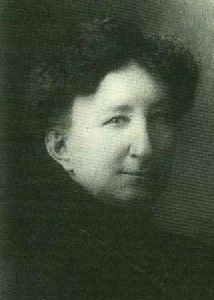 The small 18-year old woman had arrived in Tombstone with a traveling theatre troupe in 1879 prior to Wyatt’s arrival. She hooked up with Sheriff John Behan and stayed in Tombstone. However, shortly after Wyatt appeared on the scene, Sheriff Behan made the mistake of introducing Josie to Wyatt and the two instantly hit it off. The relationship between Wyatt and Mattie had continued to deteriorate as Mattie’s laudanum dependency grew worse. Josie thought that Wyatt was the best-looking man in Tombstone and she began to be seen with him almost every night at his faro table while Mattie lingered at home. Behan refused to accept Josie’s apologies and fell in deeper with the Clantons to thwart the Earps at every turn. Now holding a personal grudge, he vowed to help the rustlers rid Tombstone of the bothersome Earp brothers as soon as possible. So, when in July 1880, John Behan offered him a job as deputy sheriff under Chief Marshal Fred White, he was suspicious. Wyatt finally came to the conclusion that the offer was designed to keep him too busy to guard the Wells Fargo stage, allowing the Clantons access once again to this lucrative plunder. Wyatt accepted the job, but Behan’s plan failed when Wyatt convinced Wells Fargo to hire brother Morgan as the new guard in his place. Their plan having been a “bust”, the Clantons were furious. It was Curly Bill Brocius, who first tangled with Wyatt Earp in October, 1880. One day Brocius, along with Billy Clanton, and Frank and Tom McLaury were riding up and down Allen Street firing their weapons and harassing anyone walking along the board walks. When Sheriff White tried to stop the cowboys, Brocius drew his gun, White grabbed it, and in the fracas the gun went off, hitting White in the groin. Just then Earp arrived on the scene and brought his six gun down on Curly Bill’s head, knocking him unconscious. White was taken to the doctor and Brocius was taken to jail. In the doctor’s office, White made a death bed statement that he had been shot by his own carelessness. After White’s death, Wyatt confronted the gunmen, stating he would kill any one of them who reached for a weapon, and ordered them out of town. Soon, Curly Bill was released, thanks to White’s dying statement. Meanwhile, one night while Doc Holliday was gambling at the Oriental Saloon, John Behan accused Doc of manipulating a faro game. Doc, never one to back down, quickly challenged Behan, who retreated in haste. Behan’s public embarrassment added more to fuel to the fire. Through the early months of 1881, the Clantons continued to rustle cattle from Mexico, a crime that the Earp lawmen could do nothing about. Their hands were tied since cattle rustling was officially a county matter and John Behan was the county. The gap between the law and the outlaw faction grew wider and the town divided into two camps. While most of Tombstone’s citizens supported the Earps, the politically strong outlaw element, with Behan in control, supported the Clantons. In the meantime, Doc and “Big Nose” Kate continued to live together, but when Kate got drunk, they had serious arguments. Often, her drunkenness would escalate to abuse, and finally, Doc had had enough and threw her out. The Clantons used this separation to their advantage. On March 15, 1881, four masked men attempted a hold up on a stagecoach near Contention and in the attempt, killed the stage driver and a passenger. The Cowboy faction immediately seized upon the opportunity and accused Doc Holliday of being one of the holdup men. Sheriff Behan, who was investigating the hold-up, found Kate on one of her drunken binges, still berating Doc for throwing her out. Feeding her yet even more whiskey, the Behan persuaded her to sign an affidavit that Doc had been one of the masked highwaymen and had killed the stage driver. While Kate was sobering up, the Earps were rounding up witnesses who could verify Doc’s whereabouts on the night in question. When Kate realized what she had done, she repudiated her statement and the charges were thrown out. But, for Doc, this was the “last straw” for Kate, and giving her some money, he put her on a stage out of town. Wyatt and his deputies had gone after the robbers, for that matter, and had arrested a Clanton hanger-on named Luther King who, under pressure, had confessed to taking part in the crime. But, after the arrest, John Behan argued that King was his prisoner, since the crime was territorial, not city. Suspiciously, King escaped from Behan’s jail. And it was then apparent to Wyatt that Doc had been shanghaied as an intended sacrificial lamb, and that King was released as to not implicate the real perpetrators of the holdup. Events, a piece at a time, now moved rapidly toward a final showdown. Old Man Clanton was shot and killed by a band of vaqueros during a rustling attempt below the border; his eldest son Ike whose rushed judgments would prove fatal, took the family reins. 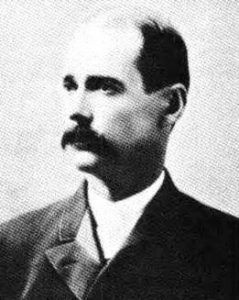 Also, in the heat of summer, 1881, a fire swept the business district of Tombstone and the citizens blamed Marshall Ben Sippy for not controlling the looting that followed; Virgil Earp, the senior deputy, was appointed a marshal, a move that antagonized the already-hostile Clantons. And, of course, there was Josie who continued to see Wyatt. While she made all effort to remain apart from the bad blood churning between the factions, the sight of her riled Behan all over again. Throughout the lazy summer season of 1881, threats against the Earp brothers increased. Ike Clanton, Johnny Ringo, “Curly Bill” Brocius and others of their ilk would often be heard telling a barroom-full how they were going to send Wyatt Earp to Boot Hill.